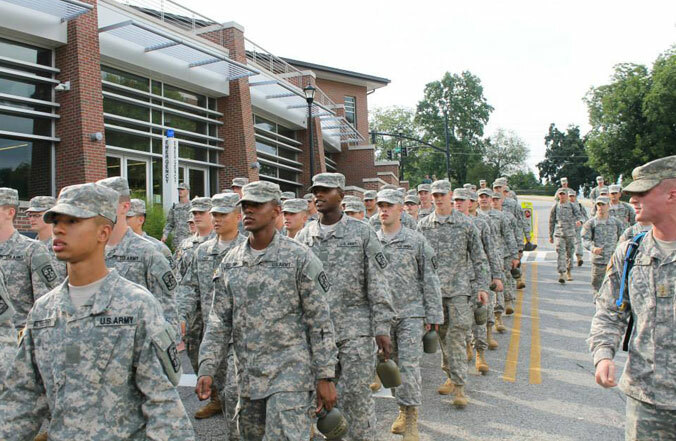 There's a group of marching cadets ahead...what do I do? 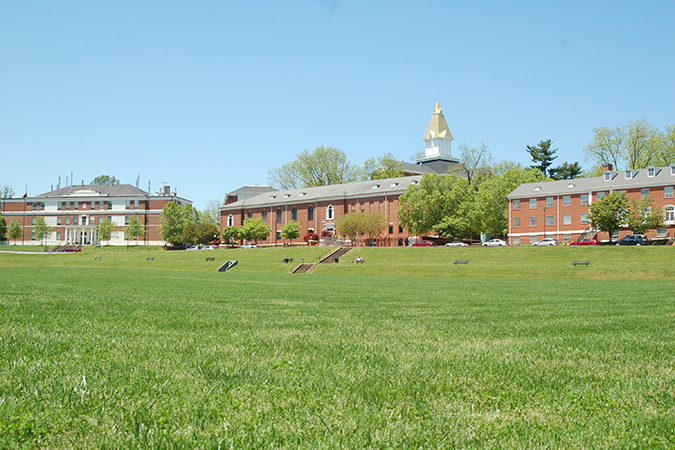 Formations have the formal right-of-way on the roads of UNG's campus. Treat them as you would a slow vehicle. Formation leaders will often try to maneuver their cadets so that vehicles may safely pass, but this is not always easy or safe to do. Be patient. The cannon is fired every morning (0700) and afternoon (1700) from the location known as the Scabbard & Blade Triangle with the rising and lowering of the flag The triangle is located between the Drill Field and Memorial Hall. It holds the daily retreat cannon, a 75-mm pack howitzer, which has been fired daily for more than 50 years. Reveille – Each morning at 7:00 a.m. Reveille is played and the U.S. Flag is raised. By tradition, cadets stand at attention and salute the flag. Civilians are asked to stop and face the flag until the bugle call ends. Each year we read the names of alumni and students who have died since our last service (previous April) to consecrate the memorial. As of April 2016 ceremony, there were 116 alumni names read and currently, there are 65 names on the student section. 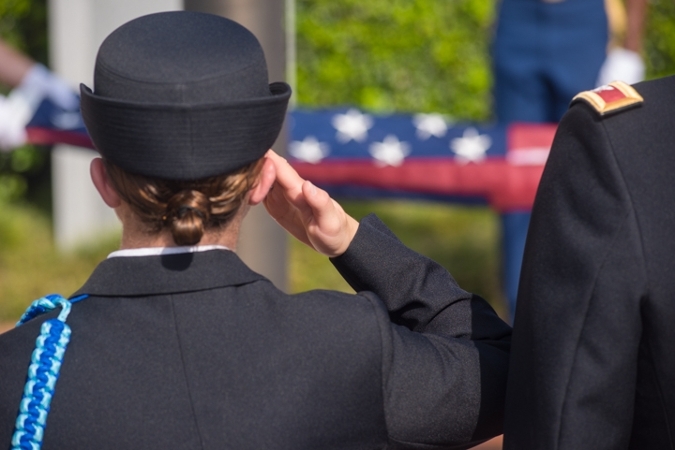 It is tradition that those who pass through the area stop to pay their respects to the fallen before exiting. The archway was dedicated by the Class of 1951 to the Class of 1950. 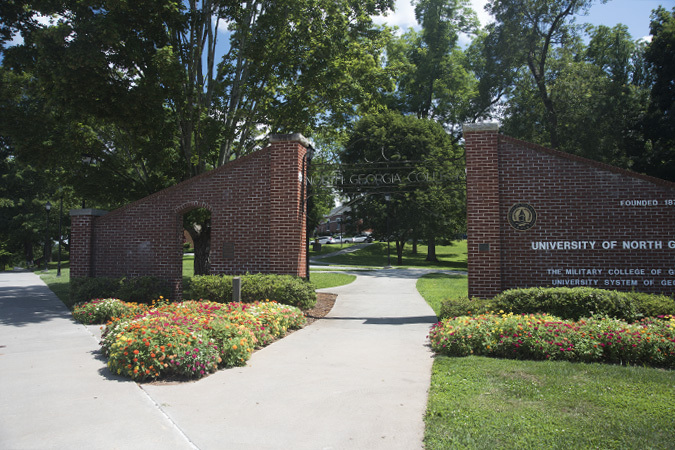 Freshmen will not walk under the arch at the front entrance to campus until completion of their freshman year. 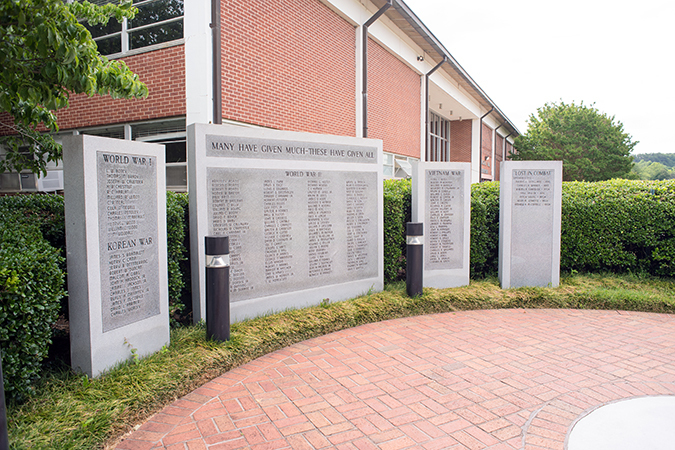 This tradition was established in honor of the Class of 1950, whose graduates saw combat action in Korea and who lost 5 men in Korea only 1 year after graduating. During the freshman year, Cadets are instructed to use the smaller arch constructed to the left side of the NGCSU archway to respect the wishes of the Class of 1951. Once the rite of passage is complete (Freshman year), Students can walk underneath the large Archway. 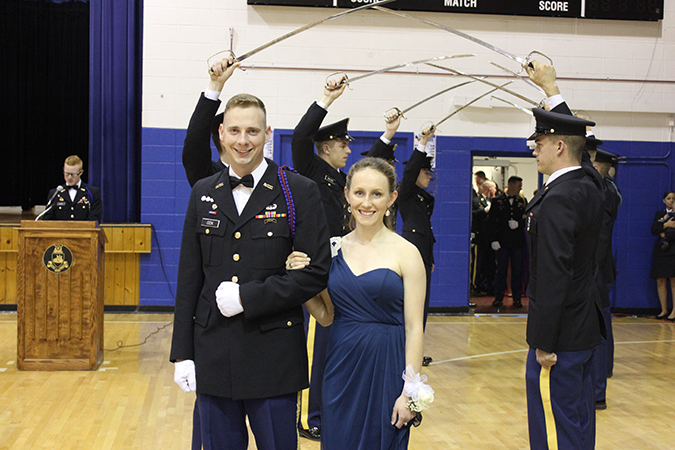 The Sweetheart Review honors the Sweethearts from all Corps of Cadets units and clubs. 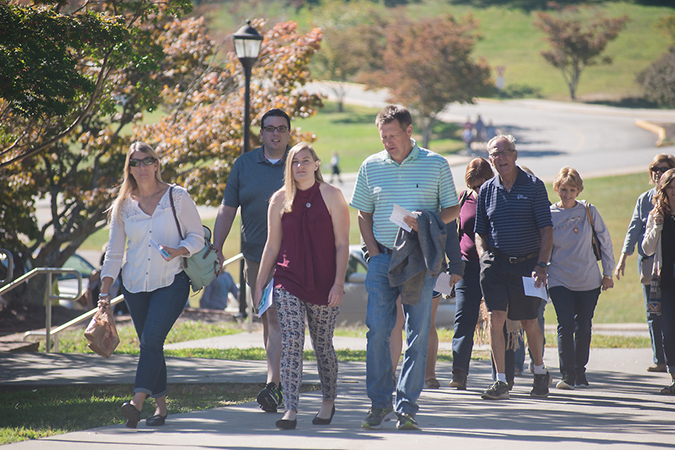 The University of North Georgia (UNG) Family Day is an annual event where students are able to share their experiences at UNG with their families and guests. Families take part in the Blue and Gold Ceremony for their first-year student who receives their entering year pin. Spend time at the shooting range or watch the military review. Guests can also stop in at the Rec Center to use the climbing wall, play laser tag, or a round of 9-hole mini golf. The afternoon gives a chance to watch a planetarium show, explore Dahlonega, or watch the Nighthawks Entertainment sponsored movie. 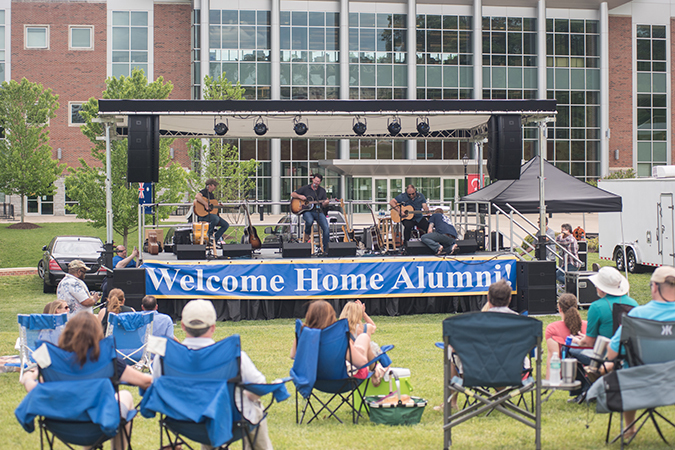 Alumni Weekend gives parents, students, alumni, and the public not only an opportunity to see our Corps and campus at their finest, but also to build comradery, relationships, and pride in our school. It is designed to give the Corps a chance to shine during a ceremony honoring outstanding students and also the faithful alumni of our College. Every year a keynote speaker is brought in to speak to the Corps and those attending to give encouragement and provide a resounding salute to the Corps’ excellence. 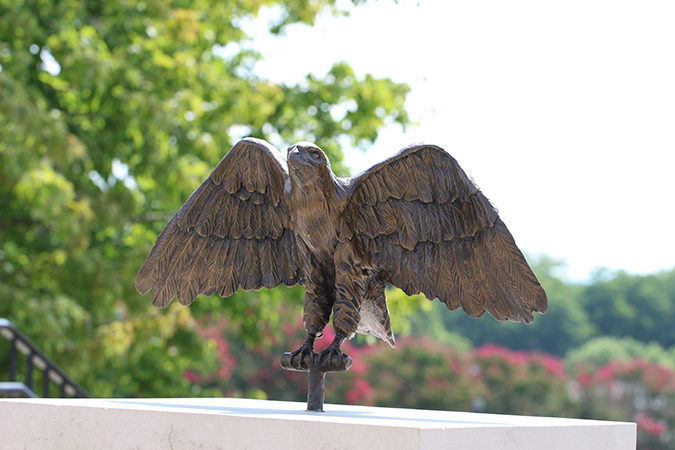 The nighthawk statues are a unifying tradition across all campuses. The statues are located in prominent locations on each campus and can be rubbed on the beak for good luck on exams or athletic events. Held during the first week of Fall Semester. Hosted by Nighthawks Entertainment with support from Orientation Leaders. It is now held in the gym with a "Toga Party” theme. SGA and Campus Dining sponsor a late-night special breakfast on the Thursday evening before the beginning of Final Exams in Fall and Spring Semesters. The Dining hall opens and serves a breakfast menu from 10:00 p.m. till Midnight. Faculty and Staff volunteers along with SGA members cook and serve students. SGA plays music and has a drawing for door prizes.